There’s no doubt: Family law disputes can get nasty. Emotions run high, and intemperate conduct can quickly escalate. A recent B.C. case addressed illustrated the type of misbehaviour that can result in one spouse getting a protection order against the other. The wealthy couple – who owned assets around the world estimated to be worth $50 million – were in the midst of a very high-conflict matrimonial proceeding. They were scheduled for an upcoming trial to decide their property division matters, and their child support issues in relation to their 17-year old daughter. The vitriolic and abusive comments of the [husband] directed at the [wife] continued and continues to this day. The description of these communications by the [husband] by his counsel as “intemperate” hardly does justice to the word. He alleges, as of late May 2017, that the [wife] is “fat and laid back” and that she was a prostitute. These past and continuing comments are simply abusive, vile and hateful. Nonetheless, about nine months after the order was granted, the husband applied to the court to have it set aside. The court reviewed the provisions of the provincial Family legislation dealing with protection orders, noting that the criteria included consideration of whether family violence “is likely to occur” against an at-risk family member. In making this assessment the court was entitled to consider several factors, including: any history of family violence; whether it is repetitive or escalating; whether there is a pattern of abuse or controlling behavior; and the couple’s recent separation. The court noted that for these purposes, “family violence” was defined to include psychological or emotional abuse (including intimidation, harassment, coercion or threats) and unreasonable restrictions on, or prevention of, a family member’s financial or personal autonomy. The evidence of the [wife] in her Affidavit … is replete with instances where the [husband] has directed both psychological and emotional abuse toward both her and [the daughter]. He has repeatedly threatened, intimidated and humiliated both of them. It appears that this controlling behavior on the part of the [husband] began at least as early as September 2015 and escalated to the time of the filing of the Notice of Family Claim. There was a visit by the [husband] in late April 2016 which was strained to say the least. During that visit, the [husband] was screaming at [the daughter] such that the [wife] was concerned that he was going to hit their daughter. The [wife] tried to push the [husband] and the [husband] shoved her out of the way. I had no hesitation in August 2016 in finding that the actions of the [husband] toward the [wife] and [the daughter] in the period leading to August 2016 constituted family violence. Likewise, the court rejected the notion that the provisions dealing with firearms prohibition were overreaching in these circumstances. In doing so, the court considered the husband’s argument that the initial protection order had been premature, since he was currently living in Singapore and there was no evidence that he planned to show up in Vancouver (where the wife and daughter lived) to harass them. To accept the [husband]’s argument is to contend that the [wife] had to wait until he showed up on the doorstop of the West Vancouver family home before she could allege urgency. The evidence established that the [husband] came to Vancouver on a regular basis and, given the acrimony in their relationship, the [wife] could not have expected that she would be given sufficient notice of a visit to seek a protection order. There was also ample evidence to support that giving notice of an application seeking a protection order would have exposed the [wife] and [the daughter] to further abuse and threats and possible physical altercations. After stating that it was more than satisfied that the initial protection order had been well-supported by the evidence, the court dismissed the husband’s application to have it set aside. These types of orders are aimed at protecting family members who are at risk. Are they the right solution? What are your thoughts? Can Mom’s New Partner Participate in “Family” Counselling if He’s Subject to a Restraining Order? The father and mother, now separated, had two children together. The father, who worked as a taxi driver, had full custody of them and received no child support from the mother. The mother had a new partner, Mr. V., who had apparently been abusive not just toward her and the children, but towards the father as well. As the Court put it, the litigation record was “replete with allegations of abuse perpetrated by Mr. V.” against the father, mother and their children. On two occasions, the father refused to let the mother have access to the children, despite a Court Order requiring him to do so. In the face of those two incidents, the mother went straight to court and successfully obtained another Order which held the father in contempt. The Order also included a provision requiring the mother, father, and children to participate in counselling, and – quite unusually — added that Mr. V. was to participate in the counselling as well. Moreover, the father was ordered to fully co-operate with all recommendations made by the counselor, and in connection with Mr. V’s participation as well. Among other grounds, the father successfully appealed the stipulation as to counselling, in part. Firstly, the Appeal Court observed that in requiring the mother’s current (and allegedly abusive) new partner at the counselling, the trial judge had likely not considered the children’s best interests. But even from a practical standpoint, that term of the Order was untenable because Mr. V. was the subject of a restraining order, which had been folded into the Order that granted the mother access to the children. That restraining order prohibited Mr. V from being within 500 meters of where the mother was exercising her access rights. The Court found it was an actually an error in law to order counselling that involved Mr. V. in the face of an order that restrains his ability to be anywhere near the children. In other words: The Court concluded that it was a bad idea to have the mother’s new boyfriend at the fractured family’s counselling sessions – particularly since he was alleged to be abusive to everyone else attending, and since he was subject to a restraining order. Perhaps not a surprising outcome. Do Judges Need to Actually Give Reasons? In law, can a litigant appeal a judicial ruling simply because the judge’s reasons were brief? The sparseness of the reasons given by the trial judge was among the grounds for appeal in the recent Ontario Court of Appeal decision in Filanovsky v. Filanovsky. A 45-year old woman had sued her parents for alleged physical and emotional abuse when she was a child, including violent blows to the face that left her with traumatic brain injuries. After a 10-day trial in which the court considered evidence from the woman, her brother, various experts, and the parents themselves, the woman’s claims were dismissed. She appealed and requested a new trial, with one of the grounds being that the judge failed to give adequate reasons to explain the reason her claim was dismissed. The appeal court rejected this particular argument. 4) to permit review by an appeal court. …[I]t turns on the overarching principle of whether the reasons permit meaningful and effective appellate review. Appellate courts will take a contextual and functional approach to addressing whether reasons meet this standard. The exercise has been variously described as one of determining whether the reasons demonstrate: “the path taken by the trial judge through confused or conflicting evidence” … or that “the trial judge came to grips with the issues and explained sufficiently his … conclusions and the reasons and basis for them” … or, the “what” and the “why” of the result. Returning to the Filanovsky case, the judge who dismissed the woman’s abuse claim against her parents had actually given lengthy reasons, in which she assessed credibility, analyzed all the witness’ evidence, and pointed out inconsistencies. The reasons as rendered by the judge did allow for a meaningful appellate review. The woman had raised other grounds of appeal, and these were dismissed as well. In Ontario, Should Harassment by Extended Family Count as “Family Violence”? Last week I discussed some of the principles that are relevant to an Ontario court’s ability to consider “violence” against one spouse by the other as a factor in whether to order that the victimized spouse be granted exclusive possession of the matrimonial home (read the full post here). • in the case of a child, direct or indirect exposure to family violence. (And it should be noted that B.C. 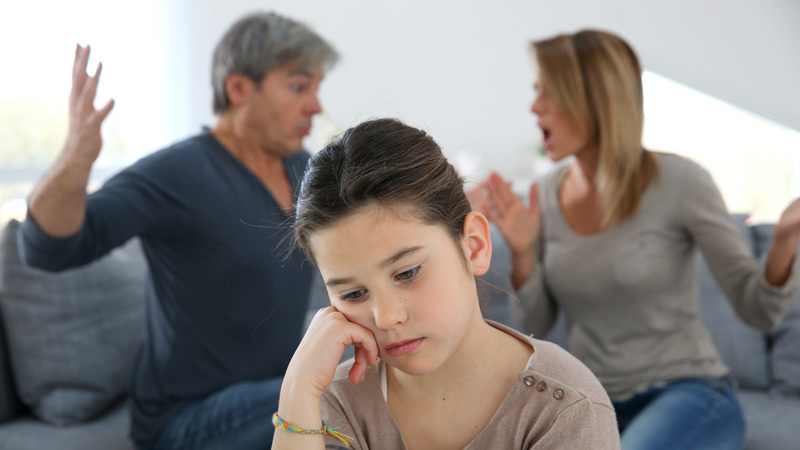 courts are allowed to consider family violence not merely in connection with post-separation possession of the family home as in Ontario, but also in relation to numerous other aspects of the parents’ relation and separation, including assessing the best interests of the child). In a recent B.C. decision, the court was asked to consider the limits of this expanded definition. There, the wife claimed that not only had the husband engaged in this kind of impugned conduct, but that the husband’s brother had been aggressive and abusive to her as well. For example, the brother – who was a physically large man – attended at the drop-offs and pick-ups of the couple’s daughter at the mother’s apartment. He was in the room when the mother had FaceTime visits over the internet with the child, and once filmed the child while having dental treatment. On one noteworthy occasion, he held up a hand-lettered sign to the mother, in the presence of the child, that had the word “LIAR” printed on it. The husband had stood by and simply acquiesced in the brother’s conduct on these occasions. The wife claimed that she should be sheltered from such conduct, and that it met the definition of “family violence” for the purposes of the B.C. legislation. Although the court refrained from ruling specifically on the mother’s argument on this point, it did reproach both the husband and the brother’s conduct in the ruling, calling the latter “infantile, and exceedingly inappropriate”. In the context of examining the existing child care and custody routine, and in the course of revising those arrangements, the court made an order specifically directing the husband to restrain his brother from such further behaviour, for example by ensuring that the brother no longer attend at drop-offs/pick-ups and FaceTime visits and no longer do any filming in relation to the child and mother. Do you think that the B.C. definition of “family violence” should be adopted in Ontario for Family Law purposes? What are your thoughts? Should The Police Be Arresting Lawyers in Robes In The Courthouse? The County and District Law Presidents’ Association has been greatly concerned with the reports surrounding the arrest of Laura Liscio. In light of the Peel Police clarification of the circumstances of the arrest in the Peel Courthouse on Friday, February 13th, CDLPA feels compelled to set out its concerns regarding this regrettable incident, as it understands the facts. First, it is clear that the police officers making the arrest had many more discrete and appropriate options available when confronting Ms. Liscio. One of the reasons that members of the bar are adorned in robes while in court is to promote respect for the administration of justice and symbolize the respect that officers of the court and the court itself deserve. This respect for tradition and the role of the court officers is a fundamental tenet of our justice system. Based upon the nature of the alleged offence and the facts as we know them, the officers over-reacted to the situation by handcuffing Ms. Liscio and ushering her, in public, to a waiting police car at the front door of the court. Once the officers observed Ms. Liscio handing over clothing to her client they could have just as easily informed her discretely that she was under suspicion for passing along illicit contraband and asked her to accompany them to a police station for further questioning. Ms. Liscio was not a flight risk and, because she was already past courthouse security, there was no threat that she was carrying a weapon. Second, CDLPA is concerned that the practices of police in courthouses and Ministry of Community Safety & Correctional Services staff across Ontario who refuse to facilitate handing over clothing to incarcerated individuals, who remain innocent until proven guilty, as they move back and forth between jail and the courts puts the onus to do this onto the defence counsel. This activity, which many lawyers already refuse to do, is putting members of the bar at risk while they try to carry out their role of assisting and advising their clients. It is easy to understand how a lawyer can be put into a situation where they unknowingly or unwittingly pass something along, and we think the time is ripe for policies to be reviewed and appropriate directions provided. Our final concern is that this case may become an excuse to clamp down on lawyers who are entering the courthouse and subject them to searches. CDLPA and other legal associations representing the practising bar in Ontario have long been concerned with any move that would require search of a lawyer as they enter the courthouse. Protection of confidential client information and the fundamental nature of solicitor-client privilege is all compromised when courthouse security is given permission to search a lawyer as they enter a courthouse. Recent amendments to law put forward under Bill 35 (An Act to repeal 00285034-1 the Public Works Protection Act, amend the Police Services Act with respect to court security and enact the Security for Electricity Generating Facilities and Nuclear Facilities Act, 2014) entrench this principle of protection of privilege into law, and we are eager to see it protected in practice as well. Not all of the facts of this particular case are known, but from what is known so far, CDLPA has strong concerns that this case is indicative of a mindset that is seeping into Ontario’s justice system which does not respect the role of the practising bar in the justice system. If Ms. Liscio is guilty of knowingly trafficking in drugs, then the criminal justice system, and likely the Law Society of Upper Canada will impose penalties. Our concern relates to the overall respect for those who work within the justice system and CDLPA hopes that this case remains an isolated instance. So what do you think? Should the police be arresting lawyers at the courthouse? An Ontario Superior Court Justice recently ruled that a father accused of slashing his wife’s throat while on vacation in Jamaica should be awarded equal and unsupervised access to his two young children. Despite having conducted a lengthily trial and listening to the parents testify, the Judge was unable to determine what had happened in Jamaica. The mother has since appealed this decision. In a post a few weeks ago, “Some Words of Wisdom from an Ontario Family Judge” , I quoted from the judgment of Mr. Justice Conlan in A.A.-L. v. M.L., who lamented over the “sad case” that he was asked to hear in his family law courtroom. In a second decision, rendered only a few weeks earlier, a different Ontario judge offers some equally-cogent comments about the nature of abuse allegations between separated and divorcing spouses. In a recent case, Mr. Justice H.M. Pierce considered a couple, originally from Algeria, about whom the judge said it was “doubtful that they were ever happy in their marriage”. The father was a professor and the mother was a physician; however the court pointed out that “[u]nfortunately, intelligence and good judgment do not always go hand in hand in family matters”. The parents’ separation had been bitter, with both of them refusing to move out of the matrimonial home. Moreover the mother specifically asked the court not to order joint custody parallel parenting, and the father essentially concurred, adding that the hostilities between him and the other made it impossible. But of particular concern to Justice Pierce was the mother’s allegation that the father had been abusive towards her and their child. The difficulty with the term “abuse”, as it is used in affidavits filed in family law cases, is that it is used subjectively. It is an emotionally coloured term. It is not limited to describing physical violence but may be also be used to describe a range of conflicts including arguments, differences of opinion or values, or hurt feelings. For example, one partner may consider himself or herself as a good money manager while the other partner may perceive close budgeting as coercive control. One partner may consider an end-of-day inquiry about how the other spouse’s day went as an indication of love or interest while a disaffected spouse may deem the inquiry intrusive and controlling. Allegations of abuse may be a symptom of the failure of a relationship. Blame is an inherent part of the allegation. Sometimes it is wholly warranted; other times it is not. When parties are not communicating, any slight or criticism is magnified. There is a tendency to minimize the other spouse’s good qualities and maximize the bad. Warring spouses are rarely in a position to step back and evaluate the other’s behaviour with objective eyes. Nor are they able to critically assess their own behaviour. That is what has occurred here. The parents were ill-matched from the start and the history of their marriage is one of confrontation. The final chapter in the conflict will be written over who gets the children. What are your thoughts about Justice H.M. Pierce’s comments?